Original Bass Reflex - Horn combination. Several times did our Genuin Series a prize for its audiophiles qualities: its authenticity and its naturalness. 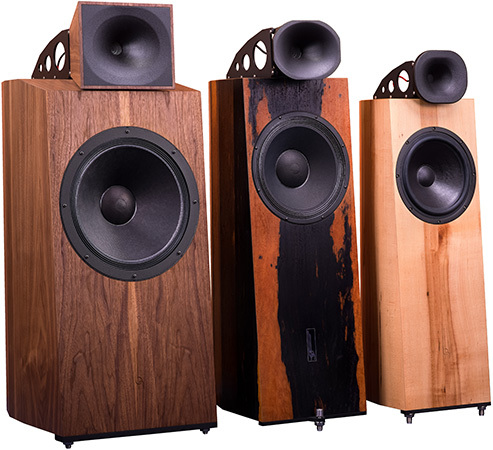 Another added value is the recognized Tube friendliness of these loudspeakers. The Loudspeakers of the Genuin series offer bass reflex construction and a true compression driver horn for the mid high frequencies. True, original, natural - according to its name the Blumenhofer-Acoustics Genuin Series delivers music in unsurpassable quality. The loudspeaker have been built for people with highest demands. Honest in reproducing voices and instruments, the Genuin Series will deliver you extreme dynamic, fascinating resolution without any kind typical of sound coloration of horns. They will surprise you with the totality of the reproduction and their organic music flow.